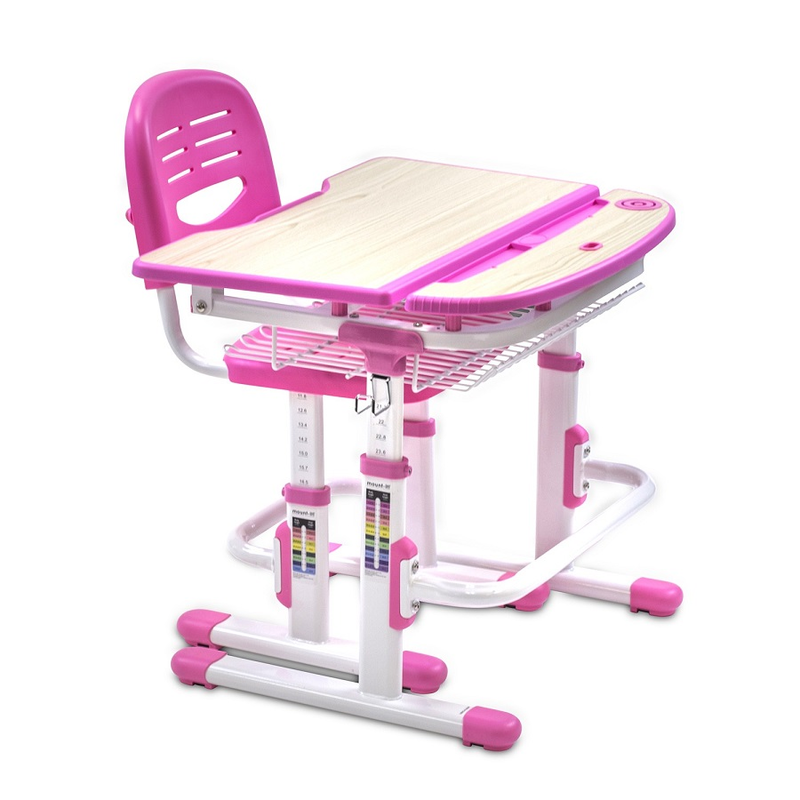 CHILDRENS DESK – Premium height adjustable study table for kids that will keep the little ones motivated for studying and learning. Colorful and modern design that will brighten up their rooms. TABLE AND CHAIR SET – Comes as a set with solid steel frame table and chair. The comfortable chair comes with ventilation holes for air circulation. TILTED DESKTOP – The desktop is tilted at an optimal angle for writing, reading and drawing. Prevents slouching and promotes healthy posture. Rubber safety stops prevent pinching. VALUABLE ACCESSORIES – Dedicated hooks help your child stay organized. Spacious drawer under the desktop stores books, paper and school supplies.